Type your World Courier tracking number below, get live delivery information with our express tracking system. 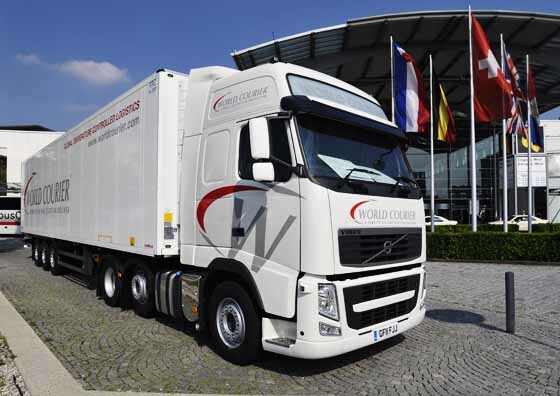 World Courier is a provider of premium logistics services and the leading global specialty supplier of transportation, storage and distribution services for multinational biopharmaceutical clinical trials. Our service offerings include temperature-controlled and time-critical handling and transportation, temperature-controlled storage and distribution, specialized packaging, and customs brokerage services. Our services are utilized by over five hundred biopharmaceutical companies, including each of the top 50 global players, as well as all major Contract Research Organizations, Clinical Trial Suppliers and Central Labs. If you have problem with our express tracking system, please track your package directly on the World Courier website. If you get no tracking information from World Courier official website, you’d better contact them. If you have shipped through World Courier, you will have received a copy of your Waybill. Each waybill has a distinct number which can vary between 9 to 11 digits(eg: 440101199, 797752752380). Have no idea about World Courier? Read World Courier reviews in advance and write a review after sending your package with World Courier. If you have problem with our World Courier Tracking system, submit your problem here, we will help you as soon as possible. Declare: We can NOT contact carrier or others on your behalf, we can only help you track your package with your World Courier tracking number on official tracking system.